A typical Prioritized Product Backlog will contain all User Stories, their time estimates which also includes any revised estimates, and the status of higher priority requirements. Any new or revised User Stories resulting from changes to business requirements, customer requests, external market conditions, and/or lessons learned from previous Sprints are also incorporated. One of the Product Owner’s key responsibilities is grooming the Prioritized Product Backlog to ensure the prioritized requirements in the Prioritized Product Backlog to be included in the next two to three Sprints are refined into suitable User Stories. It is recommended that the Product Owner should spend a significant amount of the time in each Sprint for Prioritized Product Backlog grooming. The Product Owner is responsible for adding and revising Prioritized Product Backlog Items in response to any changes and is responsible for providing more detailed User Stories that will be used for the next Sprint. Grooming helps ensure that refining of requirements and their User Stories is done well in advance of the Sprint Planning Meeting so that the team has a well-analyzed and clearly defined set of stories that can be easily broken down into tasks and subsequently estimated. 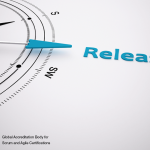 Based on lessons learned from the current Sprint, there may be changes to requirements, or there may be reprioritization that can be easily incorporated into subsequent Sprints. 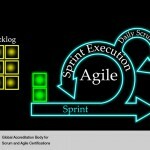 Grooming supports and enhances the flexibility of the Scrum model by incorporating the latest business and technical insights into future Sprints. A Product Backlog Review Meeting (also referred to as a Prioritized Product Backlog Grooming Session) is a formal meeting during the Groom Prioritized Product Backlog process, which helps the Scrum Team review and gain consensus about the Prioritized Product Backlog. 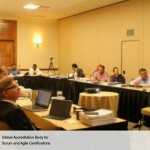 However, other than the Prioritized Product Backlog Review Meeting, Prioritized Product Backlog grooming should happen throughout the project and can include situations in which the Product Owner writes new User Stories or reprioritizes User Stories in the existing Prioritized Product Backlog, Scrum Team members or Stakeholders give their suggestions about new User Stories to the Product Owner, and so forth. It is important to note that any item in the Prioritized Product Backlog is always open for re-estimation until the Sprint Backlog is finalized in the Create Sprint Backlog process. After that, changes can continue to be made until immediately prior to the Sprint Planning Meeting, if required.